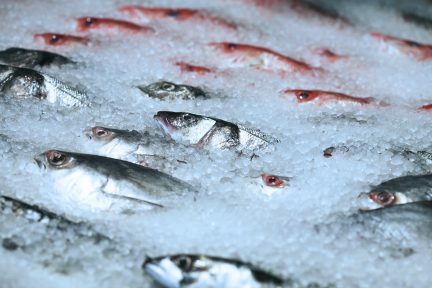 Continuing our series of blog posts about the many allergens that AlerTox Sticks can test for, today we’re going to talk about fish allergies. While fish is one of the 8 allergens specifically covered under US FALCPA regulations, it’s less frequently discussed than some other allergens. Since most people who have a fish allergy react to more than one type of fish, it is recommended that they don’t consume fish at all. There is some good news though. Fish allergy and shellfish allergy are caused by entirely different things, so an allergy to fish is not necessarily an indication that crustaceans will cause a reaction. What are some unexpected foods where fish can be an ingredient? Where else might fish contamination be found? People with fish allergies are vulnerable to cross contamination in food as well as on surfaces. For example, fish protein can become airborne in the steam released during cooking. For this reason alone, it’s recommended that sufferers take precautions or avoid restaurants where fish dishes are prepared. What parts of fish / types of fish triggers an allergic reaction? The allergic reaction is due to a protein called parvalbumin which is present in many fish. It is also possible for sufferers to react to fish gelatin, which is made from the skin and bones of fish. Fish oil doesn’t contain parvalbumin, but it is possible that small molecules of the protein could cross-contaminate the oil during manufacturing. Salmon, tuna and halibut, followed by pollock, cod, snapper and eel are common allergen-triggering fish. There is high allergic cross-reactivity among different types of fish, so someone who reacts to one type of finned fish will likely react to other types as well. Estimates vary, but both fish and crustacean allergies seem to be more common in teenage and adult life than very early childhood. An estimated 20% of people grow out of their allergy with time. About 40% of people with fish allergy experience their first reaction as an adult. Over half of individuals who are allergic to one finned fish will be allergic to another. An allergy to finned fish does not also indicate allergy to shellfish like crab and lobster. An allergy to iodine is not related to a fish allergy. People with fish allergy do not need to worry about reactions with radio contrast material or iodine. Someone that has an allergy to fish can experience a range of symptoms affecting their skin as well as mucous membranes and digestive tract. As with other allergic reactions to food, severe symptoms can include anaphylaxis and can require epinephrine. Download the AlerTox Fact Sheet for easy reference. Join our mailing list for the official releases and news from Emport! AlerTox Sticks Fish utilizes a unique combination of antibodies which enables the detection of an antigen common for ALL bone fishes. AlerTox Sticks Fish has been internally validated for the detection of Snapper, Grouper, Flounder, Bass, Pollock, Cod, Trout, Tilapia, Salmon, Catfish, and others. However, the sensitivity of the test can vary based on the fish in question, as well as the preparation method (heat-processed or fat-rich samples vs simple raw ingredients). AlerTox Sticks Fish does NOT detect the antigens of other seafood, including shrimp, lobster and crab. If those allergenic foods are a concern, we recommend our AlerTox Sticks Crustacean. You won’t believe how easy it is to test with GlutenTox Home!